"Learn About The Benefits Of Denver Full Lace Front Wigs!" 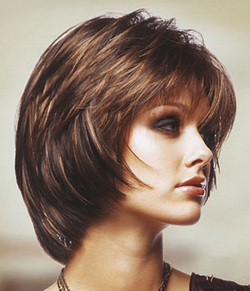 Looking For Denver Lace Wigs? Some human hair and a few synthetic wigs offer full lace front wig. These wigs will look the most natural, and will be undetectable. They are crafted to maximize breath-ability as well as added comfort. Natural parting is possible throughout the entire wig. Versatility (these wigs can be worn in up-do styles, low ponytails, as well as braids). Breathable, lightweight and very comfortable to wear. The lace front wig means that these baby hairs are tied around the lace edges to appear as if the hair was growing directly from the scalp in the front hairline. Usually, these wigs have this lace (French Lace) in the frontal area, while the back and sides of these wigs offer a more durable material. (e.g. : monofilament, stretch lace, polyurethane). Can wear your hair styled off of the face, and pulled back in a low ponytail. Provide a natural looking hairline. For the best results, you actually trim the lace section (that doesn't have hair on it), to where your own natural hairline would start.